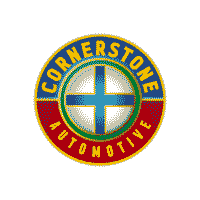 If you’re searching for used cars for sale near the Twin Cities, you won’t need to sacrifice on price or quality when you shop at Cornerstone Auto. No matter the make or model year you’re looking for, we’re sure to have something on our lot that suits your driving needs. Browse our current inventory of used cars for sale in Elk River for a closer look at used car inventory, as well as our other popular pre-owned options. We hope you choose us as your preferred used car dealership near the Twin Cities area. When you’re ready to get behind the wheel of a used car that won’t let you down, visit our dealership to take your next potential vehicle for a spin. Sangria AWD, 17" x 7.0" Alloy Wheels, 3rd row seats: split-bench, Air Conditioning, Blind spot sensor: Blind Spot Collision Warning warning, Electronic Stability Control, Fully automatic headlights, Outside temperature display, Power driver seat, Remote keyless entry, Speed control, Tilt steering wheel, Trip computer, Turn signal indicator mirrors. Priced below KBB Fair Purchase Price! Odometer is 2279 miles below market average! 2019 Kia Sorento LX 4D Sport Utility AWD 8-Speed Automatic V6 Cornerstone Commitment offers new and used vehicle benefits and the YOU+ Service Plan. We are passionate about what we do and are committed to your Peace of Mind. Sangria **Accident Free**, AWD, 17" x 7.0" Alloy Wheels, 3rd row seats: split-bench, Air Conditioning, Power driver seat, Remote keyless entry. Priced below KBB Fair Purchase Price! Odometer is 2940 miles below market average! 2019 Kia Sorento LX 4D Sport Utility AWD 8-Speed Automatic V6 Cornerstone Commitment offers new and used vehicle benefits and the YOU+ Service Plan. We are passionate about what we do and are committed to your Peace of Mind. Sangria **Accident Free**, AWD, 17" x 7.0" Alloy Wheels, 3rd row seats: split-bench, Air Conditioning, Power driver seat, Remote keyless entry. Priced below KBB Fair Purchase Price! Odometer is 3660 miles below market average! 2019 Kia Sorento LX 4D Sport Utility AWD 8-Speed Automatic V6 Cornerstone Commitment offers new and used vehicle benefits and the YOU+ Service Plan. We are passionate about what we do and are committed to your Peace of Mind. Platinum Graphite **Accident Free**, AWD, 17" x 7.0" Alloy Wheels, 3rd row seats: split-bench, Air Conditioning, Power driver seat, Remote keyless entry. Priced below KBB Fair Purchase Price! Odometer is 4414 miles below market average! 2019 Kia Sorento LX 4D Sport Utility AWD 8-Speed Automatic V6 Cornerstone Commitment offers new and used vehicle benefits and the YOU+ Service Plan. We are passionate about what we do and are committed to your Peace of Mind. Maintenance Package for up to 1 Year, Perfect Autocheck***, **Bluetooth**, **Tow Package**, **V8 Power! **, *4x4*, *Manager Special - PRICE NOT A MISPRINT - THIS MONTH ONLY!! ***, HEMI 5.7L V8 Multi Displacement VVT, 1-Year SiriusXM Radio Service, 8.4" Touchscreen Display, Apple CarPlay, Auto-Dimming Exterior Driver Mirror, Auto-Dimming Rear-View Mirror, Big Horn IP Badge, Big Horn Level 1 Equipment Group, Body Color Door Handles, Class IV Receiver Hitch, Cluster 3.5" TFT Color Display, Exterior Mirrors Courtesy Lamps, Exterior Mirrors w/Supplemental Signals, Foam Bottle Insert (Door Trim Panel), For More Info, Call 800-643-2112, Glove Box Lamp, Google Android Auto, Integrated Center Stack Radio, Power 4-Way Driver Lumbar Adjust, Power 8-Way Driver Seat, Power Adjustable Pedals, Power Heated Fold Away Mirrors, Power-Folding Mirrors, Quick Order Package 25Z Big Horn/Lone Star, Radio: Uconnect 4 w/8.4" Display, Rear Dome w/On/Off Switch Lamp, Rear Power Sliding Window, Rear Window Defroster, Single Disc Remote CD Player, SiriusXM Satellite Radio, Steering Wheel Mounted Audio Controls, Sun Visors w/Illuminated Vanity Mirrors, Universal Garage Door Opener. Priced below KBB Fair Purchase Price! Odometer is 6357 miles below market average! 2019 Ram 1500 4D Crew Cab Big Horn/Lone Star 4WD HEMI 5.7L V8 Multi Displacement VVT 8-Speed Automatic Granite Crystal Metallic Clearcoat Cornerstone Commitment offers new and used vehicle benefits and the YOU+ Service Plan. We are passionate about what we do and are committed to your Peace of Mind. Certified. Maintenance Package for up to 1 Year, Perfect Autocheck***, **V8 Power! **, *4x4*, *Manager Special - PRICE NOT A MISPRINT - THIS MONTH ONLY!! ***, 115V Auxiliary Power Outlet, 1-YR SiriusXM Guardian Trial, 40/20/40 Split Bench Seat, 8.4" Touchscreen Display, Air Conditioning ATC w/Dual Zone Control, Apple CarPlay, Auto-Dimming Exterior Mirrors, Auto-Dimming Rear-View Mirror, Big Horn Badge, Big Horn Regional Package, Bright/Bright Billets Grille, Class IV Receiver Hitch, Cloth 40/20/40 Premium Bench Seat, Cluster 7.0" TFT Color Display, Dual Rear Exhaust w/Bright Tips, Electric Shift-On-Demand Transfer Case, Exterior Mirrors Courtesy Lamps, Exterior Mirrors w/Supplemental Signals, Folding Flat Load Floor Storage, Front Armrest w/3 Cupholders, Front Center Seat Cushion Storage, Front Fog Lamps, Glove Box Lamp, Google Android Auto, GPS Antenna Input, HD Radio, Humidity Sensor, Integrated Voice Command w/Bluetooth, Leather Wrapped Steering Wheel, LED Bed Lighting, Media Hub (2 USB, AUX), Overhead Console w/Garage Door Opener, ParkSense Ft/Rr Park Assist System, Power 10-Way Driver Seat, Power Heated Fold-Away Mirrors, Power Lumbar Adjust, Power-Folding Mirrors, Quick Order Package 27S Big Horn, Radio: Uconnect 4C w/8.4" Display, Rear 60/40 Split Folding Seat, Rear Dome w/On/Off Switch Lamp, Rear Floor Mats, Rear Power Sliding Window, Remote Start System, Remote USB Port - Charge Only, Security Alarm, SiriusXM Satellite Radio, Steering Wheel Mounted Audio Controls, Storage Tray, Sun Visors w/Illuminated Vanity Mirrors, Universal Garage Door Opener, USB Host Flip, Wheels: 20" x 8" Aluminum Chrome Clad. Priced below KBB Fair Purchase Price! Odometer is 2746 miles below market average! 2019 Ram 1500 Classic 4D Crew Cab SLT 4WD HEMI 5.7L V8 Multi Displacement VVT 8-Speed Automatic Flame Red Clearcoat Certification Program Details: Chrysler Group Certified Pre-Owned Details: * Roadside Assistance * Powertrain Limited Warranty: 84 Month/100,000 Mile (whichever comes first) from original in-service date * Limited Warranty: 12 Month/12,000 Mile (whichever comes first) after new car warranty expires or from certified purchase date * Warranty Deductible: $100 * 125 Point Inspection * Vehicle History * Transferable Warranty * Includes First Day Rental, Car Rental Allowance, and Trip Interruption Benefits Cornerstone Commitment offers new and used vehicle benefits and the YOU+ Service Plan. We are passionate about what we do and are committed to your Peace of Mind. Certified. Maintenance Package for up to 1 Year, Perfect Autocheck***, *Manager Special - PRICE NOT A MISPRINT - THIS MONTH ONLY!! ***, Big Horn Regional Package. Priced below KBB Fair Purchase Price! 2019 Ram 1500 Classic 4D Crew Cab SLT 4WD HEMI 5.7L V8 Multi Displacement VVT 8-Speed Automatic Bright White Clearcoat Certification Program Details: Chrysler Group Certified Pre-Owned Details: * Roadside Assistance * Powertrain Limited Warranty: 84 Month/100,000 Mile (whichever comes first) from original in-service date * Limited Warranty: 12 Month/12,000 Mile (whichever comes first) after new car warranty expires or from certified purchase date * Warranty Deductible: $100 * 125 Point Inspection * Vehicle History * Transferable Warranty * Includes First Day Rental, Car Rental Allowance, and Trip Interruption Benefits Cornerstone Commitment offers new and used vehicle benefits and the YOU+ Service Plan. We are passionate about what we do and are committed to your Peace of Mind. Certified. Maintenance Package for up to 1 Year, Perfect Autocheck***, *4x4*, *Manager Special - PRICE NOT A MISPRINT - THIS MONTH ONLY!! ***, Drop-In Bed Liner, 115V Auxiliary Power Outlet, 1-YR SiriusXM Guardian Trial, 40/20/40 Split Bench Seat, 8.4" Touchscreen Display, Air Conditioning ATC w/Dual Zone Control, Apple CarPlay, Auto-Dimming Exterior Mirrors, Auto-Dimming Rear-View Mirror, Big Horn Badge, Big Horn Regional Package, Bright/Bright Billets Grille, Class IV Receiver Hitch, Cloth 40/20/40 Premium Bench Seat, Cluster 7.0" TFT Color Display, Dual Rear Exhaust w/Bright Tips, Electric Shift-On-Demand Transfer Case, Exterior Mirrors Courtesy Lamps, Exterior Mirrors w/Supplemental Signals, Folding Flat Load Floor Storage, Front Armrest w/3 Cupholders, Front Center Seat Cushion Storage, Front Fog Lamps, Glove Box Lamp, Google Android Auto, GPS Antenna Input, HD Radio, Humidity Sensor, Integrated Voice Command w/Bluetooth, Leather Wrapped Steering Wheel, LED Bed Lighting, Media Hub (2 USB, AUX), Overhead Console w/Garage Door Opener, ParkSense Ft/Rr Park Assist System, Power 10-Way Driver Seat, Power Heated Fold-Away Mirrors, Power Lumbar Adjust, Power-Folding Mirrors, Quick Order Package 27S Big Horn, Radio: Uconnect 4C w/8.4" Display, Rear 60/40 Split Folding Seat, Rear Dome w/On/Off Switch Lamp, Rear Floor Mats, Rear Power Sliding Window, Remote Start System, Remote USB Port - Charge Only, Security Alarm, SiriusXM Satellite Radio, Steering Wheel Mounted Audio Controls, Storage Tray, Sun Visors w/Illuminated Vanity Mirrors, Universal Garage Door Opener, USB Host Flip, Wheels: 20" x 8" Aluminum Chrome Clad. Priced below KBB Fair Purchase Price! 2019 Ram 1500 Classic 4D Crew Cab SLT 4WD HEMI 5.7L V8 Multi Displacement VVT 8-Speed Automatic Bright Silver Clearcoat Metallic Certification Program Details: Chrysler Group Certified Pre-Owned Details: * Roadside Assistance * Powertrain Limited Warranty: 84 Month/100,000 Mile (whichever comes first) from original in-service date * Limited Warranty: 12 Month/12,000 Mile (whichever comes first) after new car warranty expires or from certified purchase date * Warranty Deductible: $100 * 125 Point Inspection * Vehicle History * Transferable Warranty * Includes First Day Rental, Car Rental Allowance, and Trip Interruption Benefits Cornerstone Commitment offers new and used vehicle benefits and the YOU+ Service Plan. We are passionate about what we do and are committed to your Peace of Mind. Recent Arrival! Maintenance Package for up to 1 Year, Perfect Autocheck***, **Push Button Start**, **Rear View Camera! **, **V6 - Unbelievable Pick-Up! **, *AWD*, *Manager Special - PRICE NOT A MISPRINT - THIS MONTH ONLY!! ***, AWD. Priced below KBB Fair Purchase Price! Odometer is 5905 miles below market average! 2019 Kia Sorento 4D Sport Utility LX AWD V6 8-Speed Automatic Ebony Black Cornerstone Commitment offers new and used vehicle benefits and the YOU+ Service Plan. We are passionate about what we do and are committed to your Peace of Mind. Recent Arrival! AWD. Priced below KBB Fair Purchase Price! 25/30 City/Highway MPG 2019 Chevrolet Equinox LT 1LT Blue Metallic 4D Sport Utility AWD 6-Speed Automatic Electronic with Overdrive 1.5L DOHC Cornerstone Commitment offers new and used vehicle benefits and the YOU+ Service Plan. We are passionate about what we do and are committed to your Peace of Mind. Recent Arrival! AWD. Priced below KBB Fair Purchase Price! 25/30 City/Highway MPG 2019 Chevrolet Equinox LT 1LT Silver Ice Metallic 4D Sport Utility AWD 6-Speed Automatic Electronic with Overdrive 1.5L DOHC Cornerstone Commitment offers new and used vehicle benefits and the YOU+ Service Plan. We are passionate about what we do and are committed to your Peace of Mind. Recent Arrival! AWD. Priced below KBB Fair Purchase Price! 25/30 City/Highway MPG 2019 Chevrolet Equinox LT 1LT Black Metallic 4D Sport Utility AWD 6-Speed Automatic Electronic with Overdrive 1.5L DOHC Cornerstone Commitment offers new and used vehicle benefits and the YOU+ Service Plan. We are passionate about what we do and are committed to your Peace of Mind. 4-Wheel Antilock Disc Brakes, ABS brakes, Compass, Electronic Stability Control, Front dual zone A/C, Heated door mirrors, Heated Front Reclining Bucket Seats, Heated front seats, Illuminated entry, Low tire pressure warning, Power Liftgate, Power-Adjustable Accelerator & Brake Pedals, Remote keyless entry, Traction control. Priced below KBB Fair Purchase Price! 2018 Chevrolet Suburban LT Black 4D Sport Utility 4WD 6-Speed Automatic Electronic with Overdrive V8 Cornerstone Commitment offers new and used vehicle benefits and the YOU+ Service Plan. We are passionate about what we do and are committed to your Peace of Mind.